Bridgeport Middle School was established in 1988 after the consolidation of Bridgeport High School and Stevenson High School, which created North Jackson High School. BMS serves the community of Bridgeport, Alabama, and houses grades 5-8. BMS has a free and reduced lunch rate of 70%, and an enrollment of approximately 130 students. 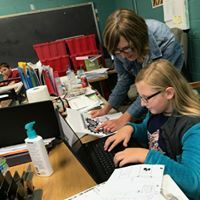 BMS has a strong recent history in implementing STEM into the curriculum through the Tiger Tech Initiative, having recently implemented Project Lead the Way’s Computer Science curriculum. BMS is also a proud participant in The Dynamic Learning Project sponsored by Google for Education, EdTech Team, and Digital Promise. 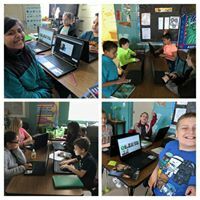 The administration and faculty at Bridgeport Middle School are committed to implementing state of the art technology into all aspects of the school’s educational program. The Tiger Tech Initiative has three specific goals: 1) provide an Innovation Center that will allow students to engage in problem solving and critical thinking, while developing their creativity and innovation skills; 2) students will also utilize the Innovation Center to become actively involved in the Bridgeport Middle School STEM programs; and, 3) students will use the Innovation Center to complete projects that provide solutions to problems in the local community. Bridgeport Middle School is also proud to be one of 50 schools in the United States chosen to participate in The Dynamic Learning Project. The Dynamic Learning Project is designed to help deliver on the promise of technology by investing in a school’s greatest assets: teachers. It’s not just about access to technology, but how prepared teachers feel to meaningfully use that technology in their classrooms. 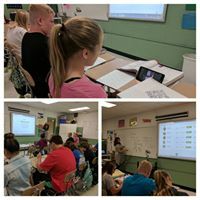 The Dynamic Learning Project will sponsor and train a coaching fellow, in most cases a former classroom teacher, who will provide personalized, tech-based coaching to help educators in their community leverage technology in transformative ways.